There aren't really words that describe the pure, unadulterated awesomeness that is IRON FLY. The dudes from PIG FARM INK have taken the traditional fly tying night, dropped it on it's head, fed it paint chips and made it a smashing good time. 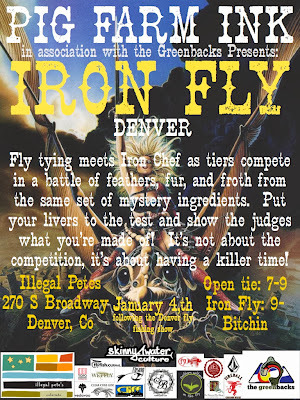 It is fly tying meets Iron Chef meets the communal atmosphere of the F3T. 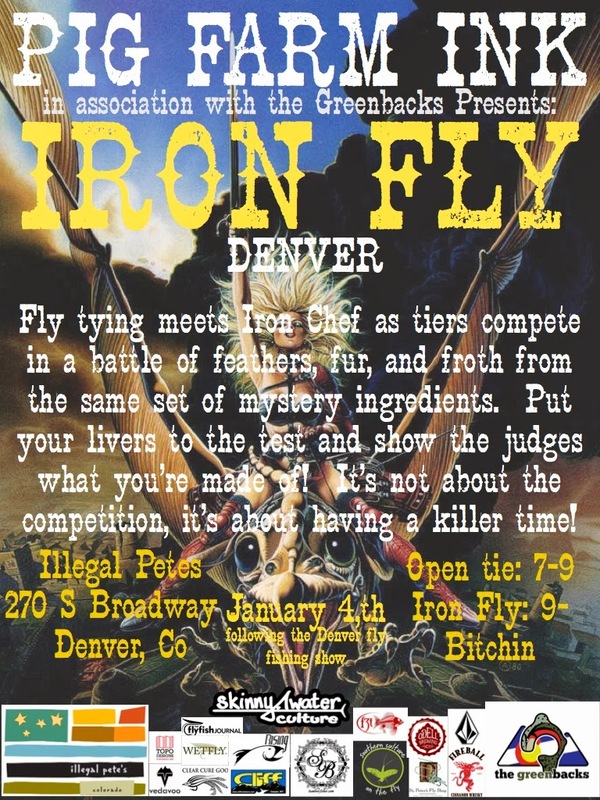 After successful Iron Fly events in Fort Collins and Asheville, PIG FARM INK is bringing their brand of bitchin' to Denver. So, bring your drinking hat, your burrito eating hat, your creative fly tying hat, and/or any other hats to Illegal Pete's on South Broadway in Denver on Saturday the 4th at 7pm. Check the video. "IRON FLY" Fly tying Contest from Addi Berry on Vimeo.